Busy auto dealership seeks experienced, detail oriented personnel responsible for assisting the accounting department to maintain efficient daily operations in a fast paced environment, and work well as part of our team! Selected candidates must have automotive dealership experience and a good background in general office procedures, as well as a high degree of computer literacy. •	Maintaining a list of all outstanding titles, resolving issues to obtain titles in a timely manner, and report title status to department managers. •	Prepare lien payoff checks and apply for duplicate titles as needed. •	Maintain and file vehicle inventory folders efficiently. •	Assist office staff in splitting deals and preparing paperwork to submit to banks as well as insurance companies. •	Computer skills are required. 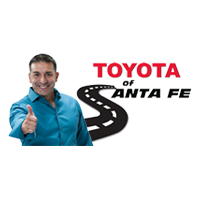 Apply online at http://www.toyotaofsantafe.com/careers/ or contact Jennifer Sanchez, Comptroller at Toyota of Santa Fe.